Alpine Travel has always placed the highest value on its customers and staff taking full responsibility for the choices it makes on their behalf. Understanding the impact of the business on the environment and community has always been a top priority. The company remains ever conscious of its duty to maximize energy efficiency and to reduce carbon emissions. It strives to deliver an unrivalled travel experience for customers and to be an excellent employer. Alpine Travel also places great importance on the responsible attitudes of the suppliers, partners and associates it works with. Alpine Travel actively support charities both local and international to which end it supports a number of small local charities and one larger international transport charity known as Transaid for whom its managing director is an ambassador and fund raiser. Transaid is an international development charity that identifies, champions, implements and shares local transport solutions which improve access to basic services and economic opportunity for poor people in developing countries. 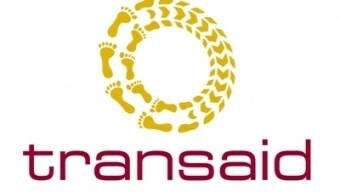 To Find out more about Transaid please click the link below. A commitment to communicate in plain English, hiding nothing in the small print. Be open and honest about products and services. Endeavour at all times to communicate clearly, knowledgeably and helpfully. Never resorting to pressure sales or taking advantage of business relationships. Listening to the consumers helps us to improve the service on offer. Choose suppliers carefully to ensure they follow the same responsible working practices as Alpine Travel. Treating Alpine Travel partners in an honest and fair way. Operating an active Environmental policy. Practice a clear Race and Sexual discrimination policy.